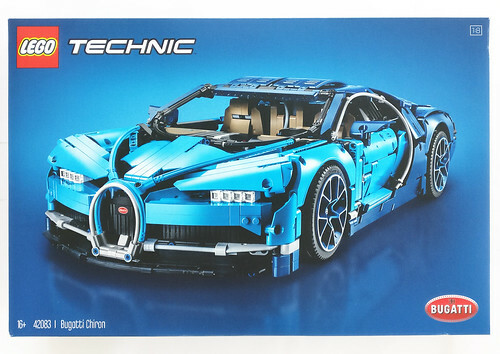 At the beginning of June, LEGO officially announced their latest LEGO Technic Ultimate supercar with the Bugatti Chiron (42083) and I’ve finally got enough time to review it. 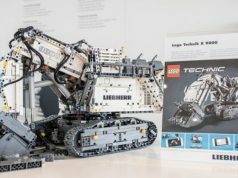 It contains 3,599 pieces and retails for $349.99 and is the second 1:8 scale Ultimate Technic supercar with the first being the Porsche 911 GT3 RS (42056) from 2016. The box is pretty dense and a lot heavier than I expected. 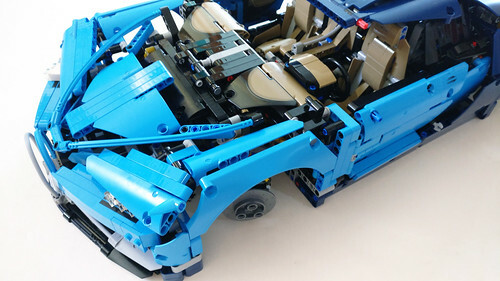 Opening the box, we can find six boxes which are filled with bags, one of which also holds the blue rims. 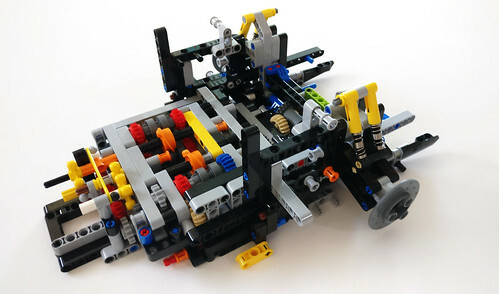 The images on the boxes show the front and back when assembled accordingly. 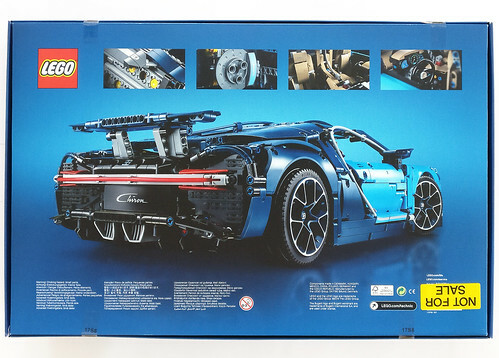 The instruction books and sticker sheet are centered in the middle and one thing to note is that the boxes containing the bags of parts are now more sturdier so the books won’t move around like what happened with earlier copies of the Porsche 911 GT3 RS. 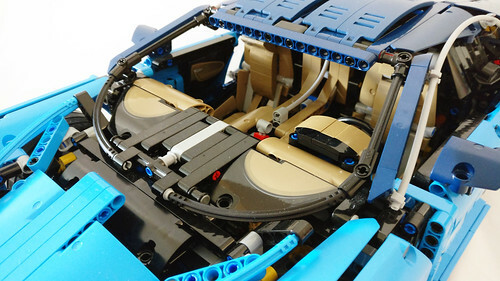 There are two instruction books consisting of 306 and 322 pages, respectively. 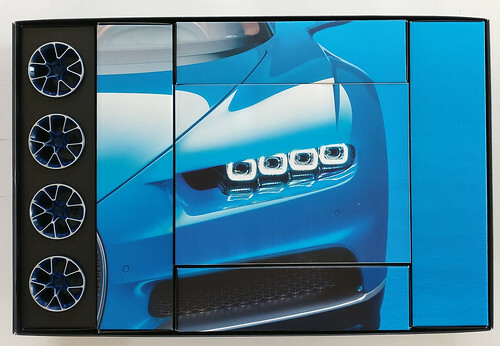 The beginning of the first book gives some background details as well as the design process for the real Bugatti Chiron as well as the set. 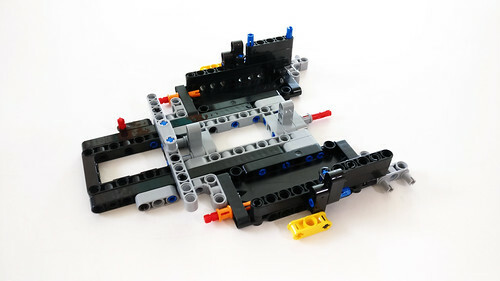 Box 1 starts with the parts needed for the engine/gearbox areas which, in my opinion, is probably the most complex part of the whole set. 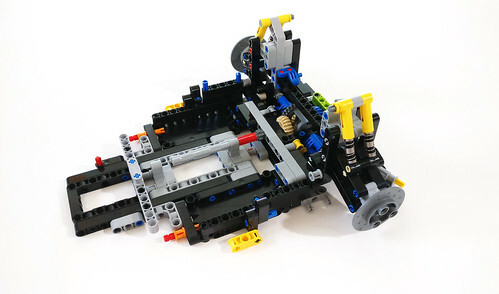 This area also has you build the rear axles and suspension system first and everything else builds upon it. Here we get to see the new disc brakes used which looks really good when the rims and tires are put on. 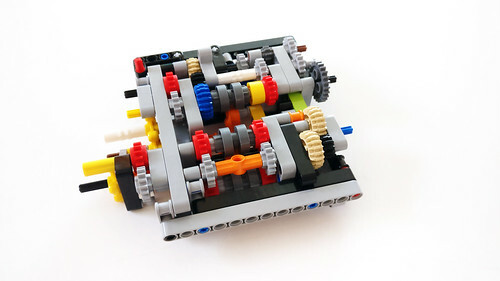 The gearbox uses a very complex system of Technic gears as well as some new orange gear shift pieces which I expect will be used for future LEGO Technic sets. 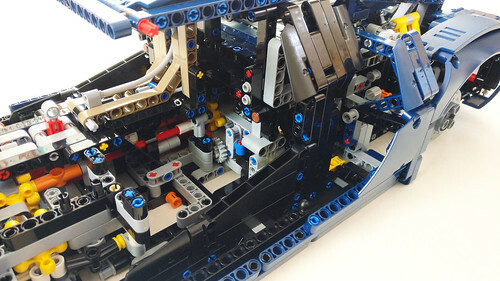 I’ve accidentally made the mistake of trying to build too fast and missed one of the pieces in this area. Fortunately, I caught it before getting too far along so I didn’t have to backtrack that much. 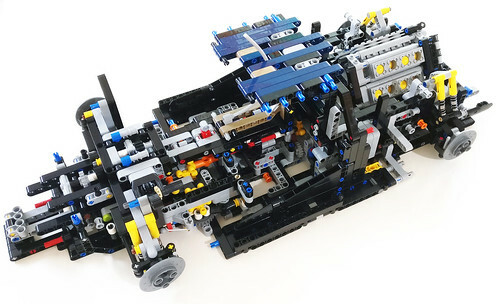 The 16-cylinder engine looks amazing especially when connected to the gearbox and it looks very cool to see the cylinders move when you turn the gears. 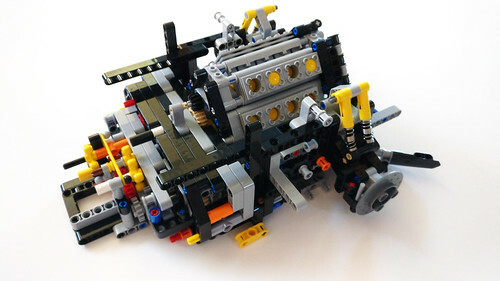 In addition, there’s also the paddle gear shift mechanism at the front end of the car. The way it works is that when you push on the paddle, it rotates the axle left or right depending on which side of the paddle you push. 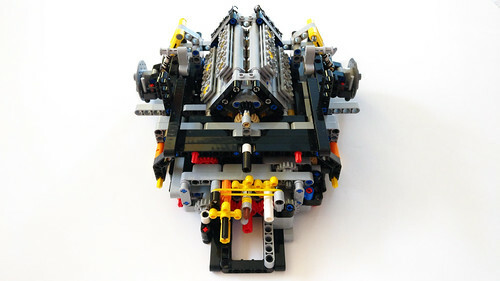 LEGO dubs “the marriage process” of the Bugatti Chiron when you combine the monocoque chassis to the rear engine and gearbox area. 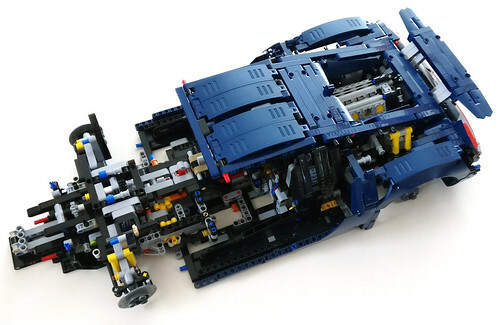 It’s actually very satisfying to see the two sections come together. 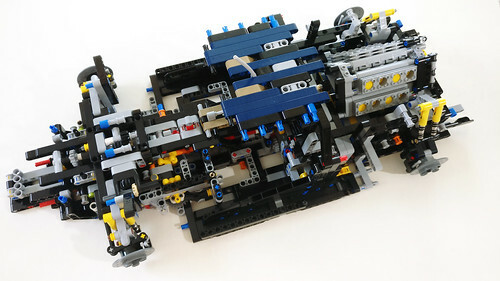 If you’ve done it correctly, all the Technic pins and gears should line up and everything turns in synchronization. 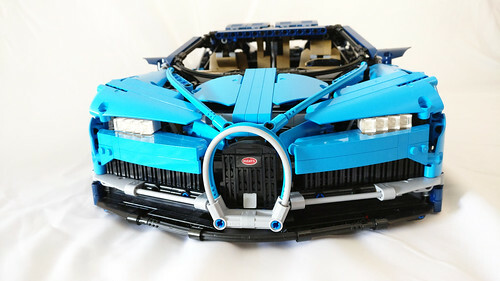 At this point, the most difficult part of the whole build, in my opinion, is complete and we turn our efforts to the outer body of the Bugatti Chiron. 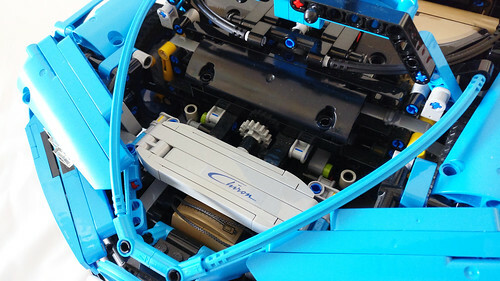 LEGO has us working on the back part of the Chiron first with the dark blue color scheme. 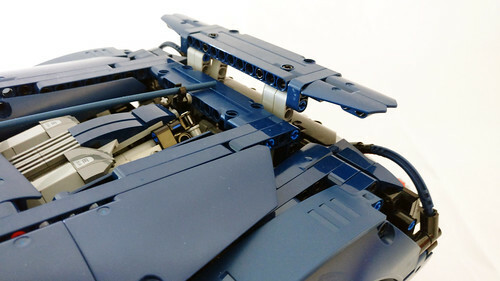 One of the features of the set is the rear wing that is able to move up and down using the included brick-built key. 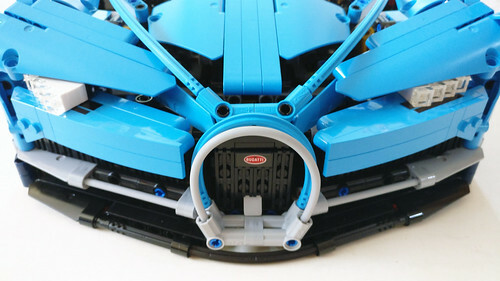 When you turn the axle on the key, you can adjust the wing accordingly and it even tilts when you turn it to the fullest. 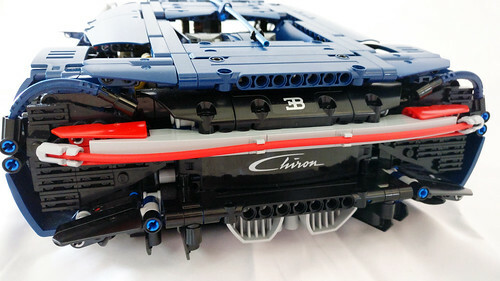 The rear of the Chiron looks very sleek with the red light that is from a red flex tube held on by some stud shooters of all pieces and it goes between the stickered Bugatti symbol and emblems. 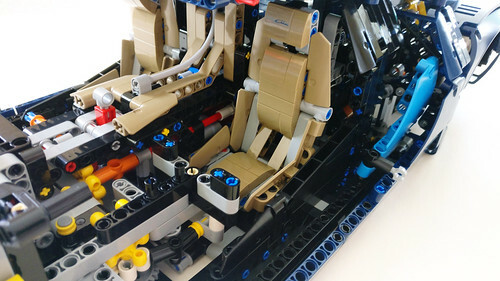 Next up for box 4, we now move on to the seats and the interior. Dark tan parts are used for the seats and it looks good on the car. There’s a sticker of the Chiron logo on both of the headrests. 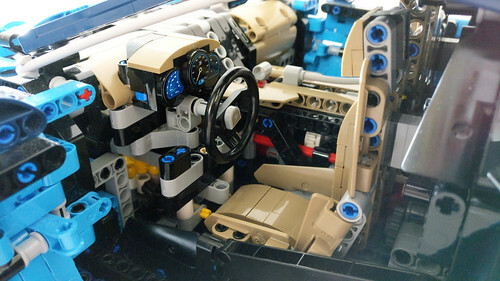 The dashboard is fairly detailed but all three of the gauges are all stickers. The front part of the dash is also stickered on the panels. 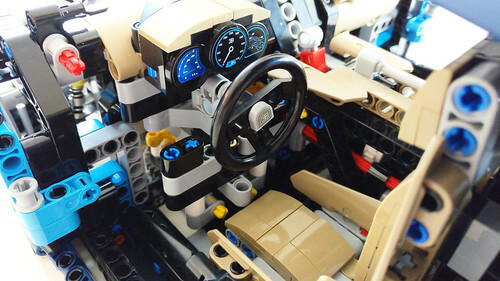 The stickered steering wheel is connected to an axle which, as you saw before, connects to the gear shifters below. 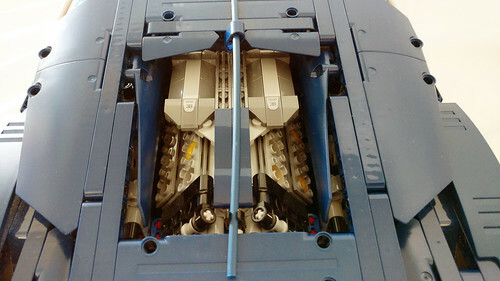 Moving on to box 5, the inside of the doors also have stickers to give it some detailing. 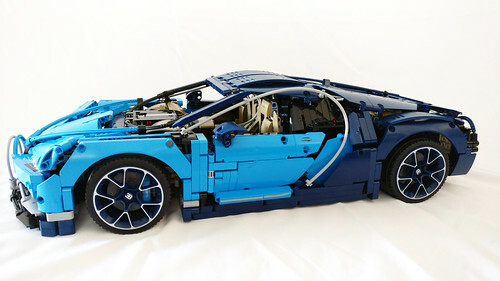 The outside of the doors and the front part of the car use medium azure pieces and it gives a good contrast to the dark blue at the rear. The front of the Chiron is very impressive and very sleek looking with the iconic horseshoe grill that is also stickered. 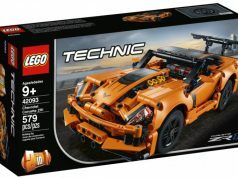 Above the trunk is a spot where an unique code, similar to the Porsche 911 GT3 RS, where you go the LEGO Technic minisite to access the Certificate of Ownership, wallpapers, posters, and a bonus podcast. 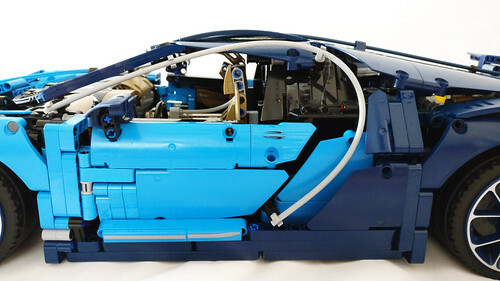 For the final box, we have the parts for the rest of the windshield area as well as the side mirrors. There also some flex tubes used for the curve that goes around the door. 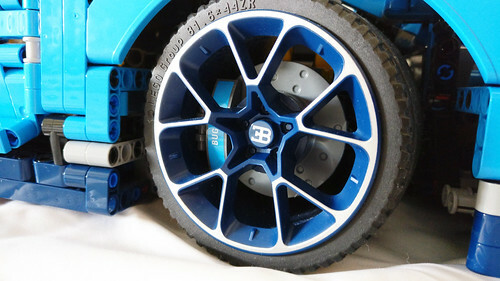 There’s also the dark blue rims and the tires that we add with some printed 1×1 tiles in the middle. Lastly we have the brown Bugatti bag that goes inside the front trunk. 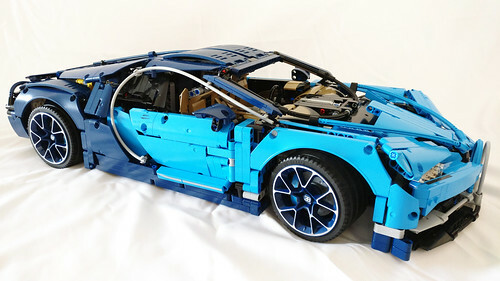 The LEGO Technic Bugatti Chiron (42083) took a long time to complete but the end result is a very nice looking supercar. 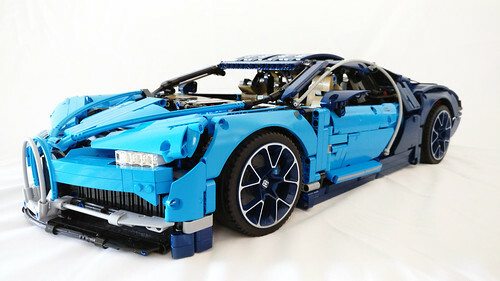 The iconic shades of blue look absolutely amazing and does parallel the real-life car. 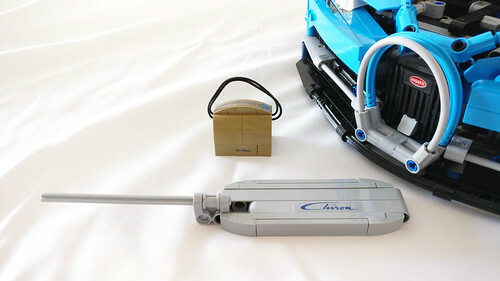 The design of the Chiron is very sleek but there are some things on it that feel could have been improved but due to some limitations, could not be accomplished. One of these design issues is the curve that goes around the doors using flex tubes. 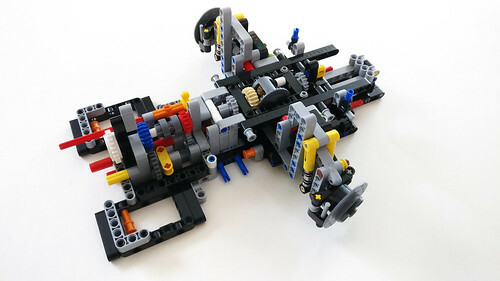 I’m not sure how LEGO would have designed it any other way.